There have been numerous talks in the country of the big retailers causing havoc on small time traders. BENGALURU:There have been numerous talks in the country of the big retailers causing havoc on small time traders. Now a documentary film made in the city uses a micro perspective of the issue and explores the stories of retail traders in Karnataka. Questions on FDI in retail and GST are also raised in the film titled ICS (Invasion, Competition and Symbiosis) and directed by H S Manjunath, who started his career as a banker. After 16 years in the sector, he took up freelance writing and film making. He shot his documentary in two days, a day in Nelavanki village in Chikkaballapur district and the other in Yelahanka New Town in Bengaluru. He adds, “I learned about a man Chelapathi who used to run his shop in Nelavanki village. 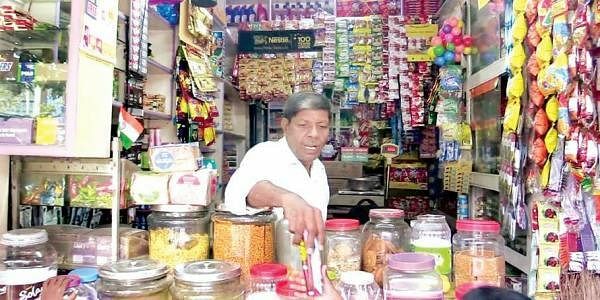 He had shut his shop and moved to Chintamani village.” He went in search of him to know his story and found that he had shifted as he could not sustain his business there. ICS is of 45 minutes and will be screened at Seshadripuram College on Febrauary 22 at 10 am.